Front desk job positions are primarily needed to assure that the guests in the lobby or waiting area of establishments are assisted specifically for their needs, inquiries, and initial transactions. There are different kinds of professional work posts that are available for employment in this field of work. 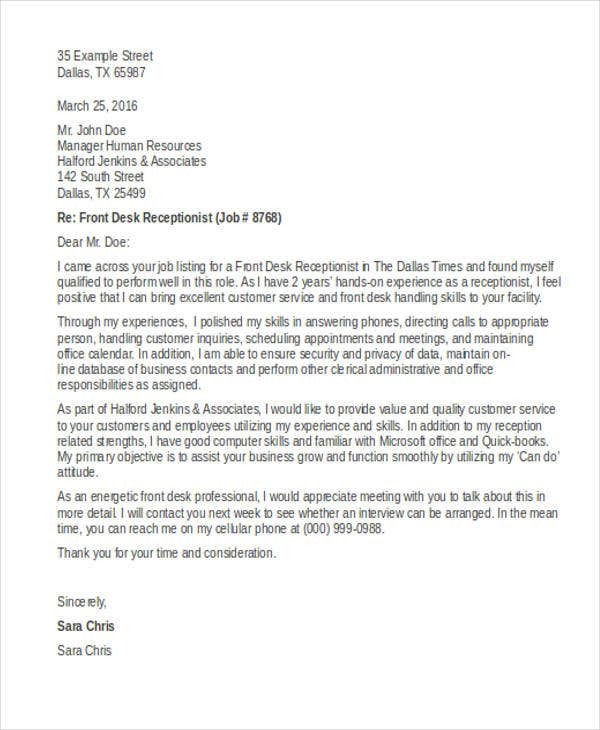 We can provide you with downloadable samples of front desk cover letter templates to serve as your references in creating your own cover letter format for a front desk job position. 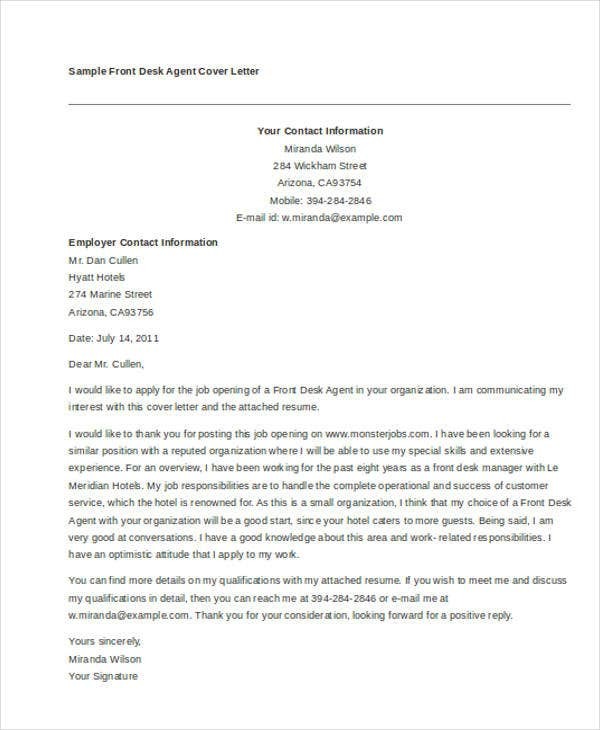 More so, we can also give you samples of Cover Letter Salutation and other Cover Letter Templates. As mentioned above, there are different kinds of job positions that are available in front desk operations. This mainly varies on the industry where these work posts are stationed. A hotel front desk is mainly tasked to check in guests and assure that all bookings and reservations are accurate. 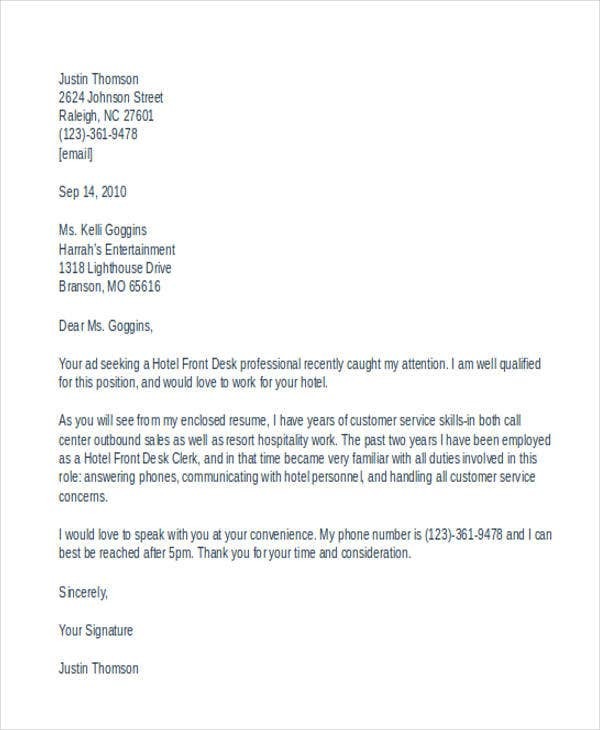 Writing an effective resume cover letter for a hotel front desk position requires the information of the knowledge and experiences of the candidate in hotel reception operations. A medical front desk is the personnel that you can see in the reception of clinics, hospitals, and other medical institutions. 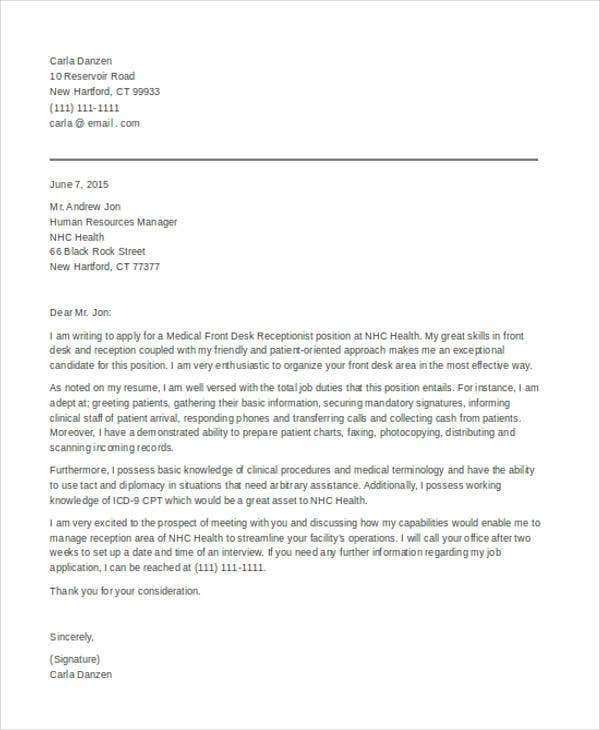 It is very essential for medical front desks to be aware of the processes that are needed to be implemented for specific patient concerns. 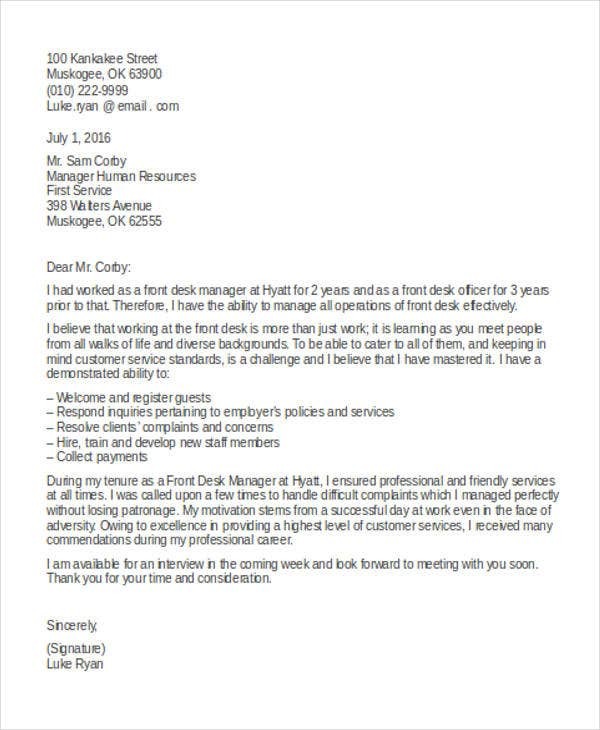 Gym front desks are for those who are expected to answer the inquiries of clients with regard to gym memberships, gym usage fees, and other information that are related to the operations of a fitness gym. 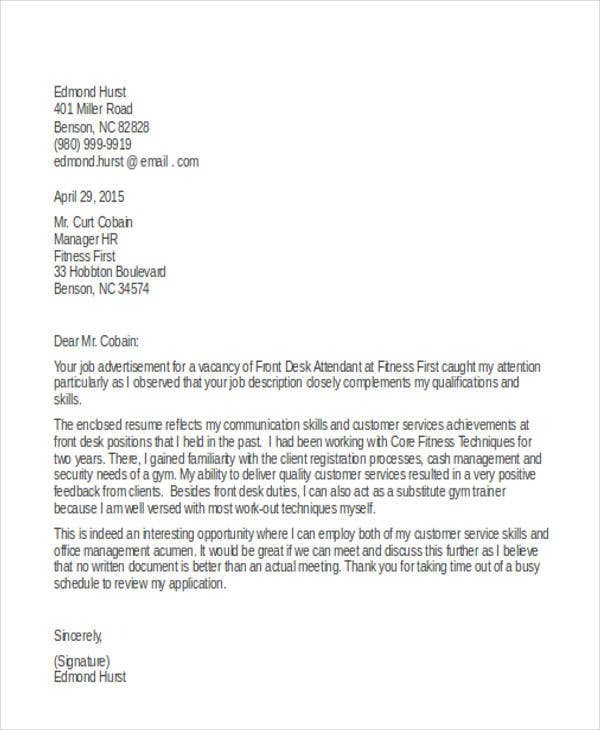 We can provide you with more templates of Cover Letter Samples from our archives. 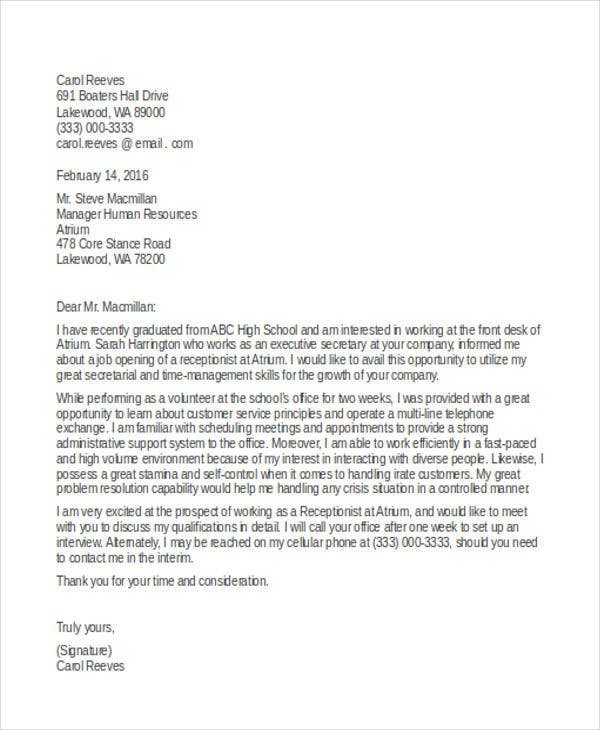 More so, we have samples and templates of Cover Letters For Internships as well. 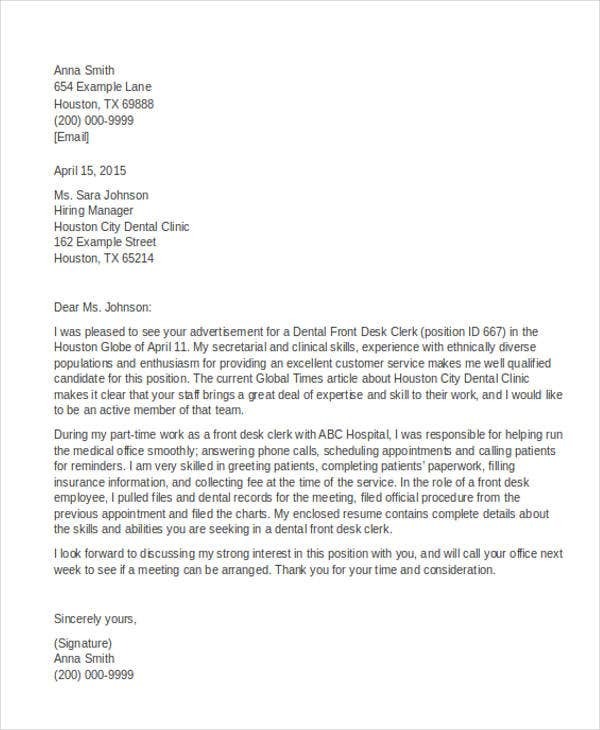 Use a front desk cover letter template to guide you in creating this document. 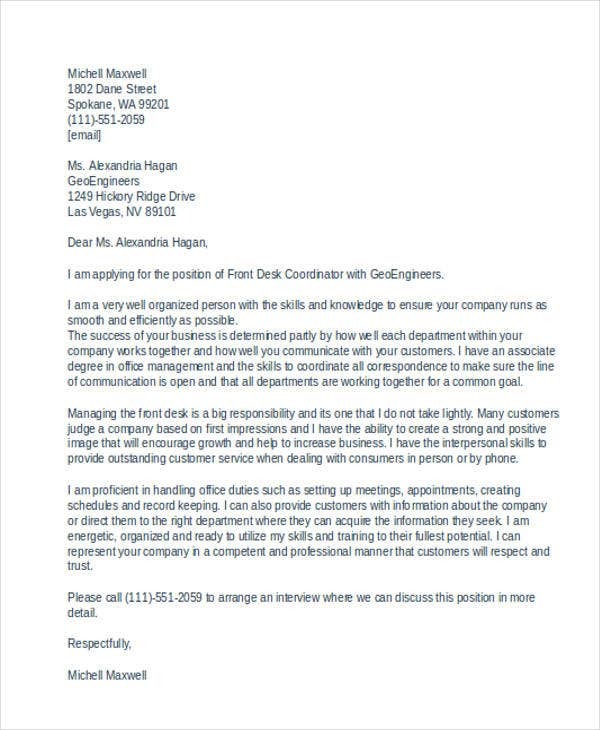 It is very important for your cover letter to be appealing as the stiff competition for front desk positions is becoming more apparent nowadays. 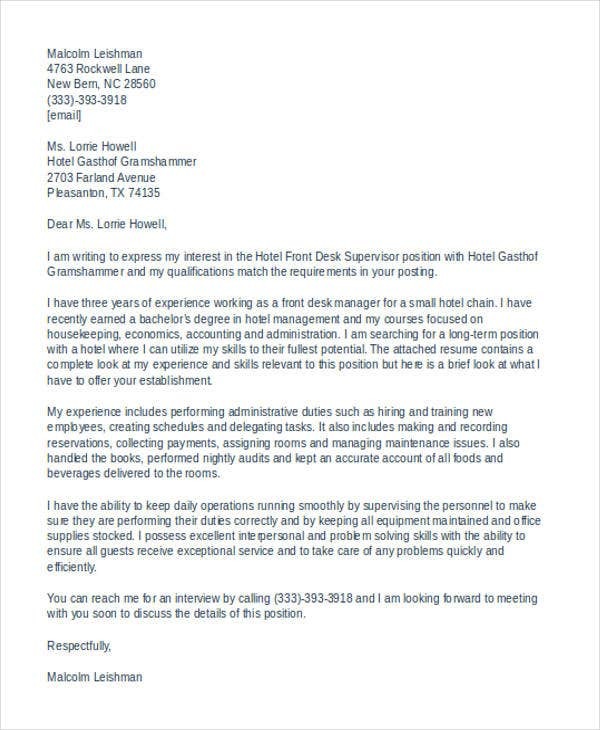 Make sure that you are aware of the requirements of the front desk job position that you are applying for. More than having a pleasing personality and the awareness of your job description, it is essential for you to know the operations of the business where you will be a front desk officer should you be hired. 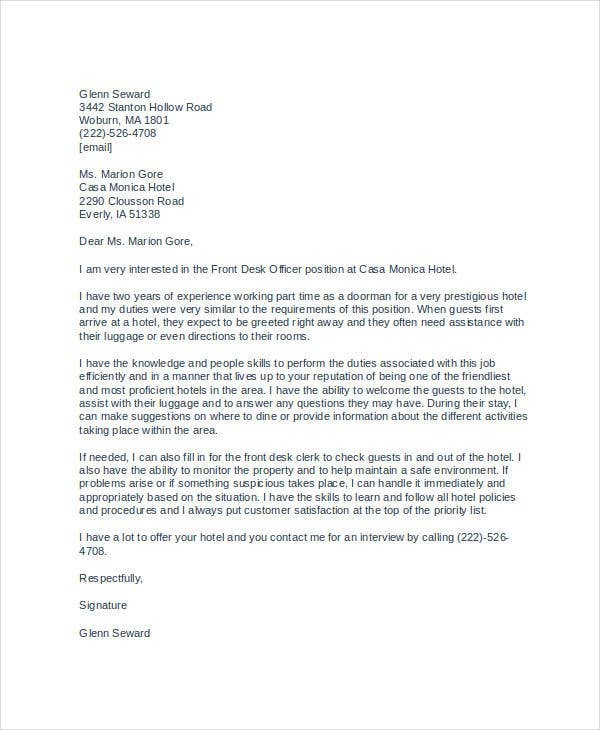 Do not put the items that are already present in your front desk resume. As much as possible, put real-life scenarios where you have applied your knowledge in front desk operations. Also, give focus on your qualifications, achievements, and experiences in this particular work process. 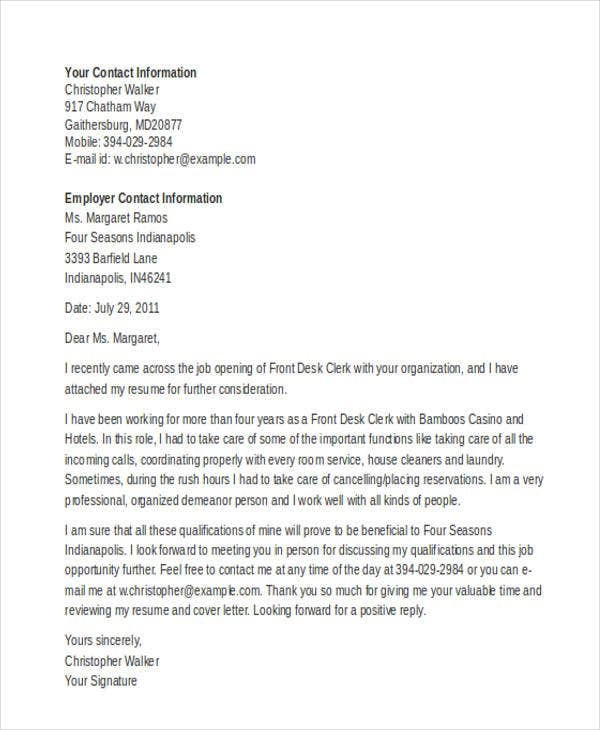 For more samples of other downloadable Cover Letter Examples, you may browse them on our website.